Tubbs Delight has been owned by the same family since it was built in the 1960's. It has always been a great family self catering South West Holiday Cottage. Tubbs Delight is constantly being refurbished and updated. It has been modernised intensely with a Heat recovery system, Solar hot water, and Solar Photovoltaic (PV) panels to be an eco friendly holiday home. Redecorated, and redesigned with a new kitchen, bathroom and cloakroom. As you will see the garden may have changed but the amazing view never has. The second generation now maintains the property and it has changed immensely from its humble beginnings. Over 20 years experience of running a holiday home. Debbie has experience of all fields of rental, dealing with long term flats, houses and commercial buildings. 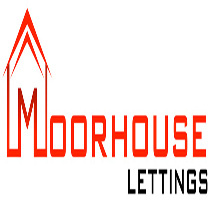 Her company Moorhouse Lettings is a letting agency in Weston Super Mare. Based on a farm near Totnes Richard, Guy and the team have been intelligently designing and installing renewable energy systems in South Devon since 2009. Tubbs Delight is an eco holiday home with solar hot water and solar pv installed by us. Provided For Local People, By Local People. Originally started in 2004 and has cleaned at Tubbs Delight holiday let accommodation since 2016. We can help you with regular weekly cleans, spring cleans, after builder clean, after tenant clean and many more services. 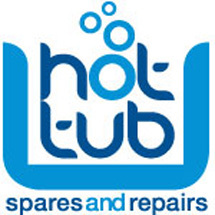 Hot Tub Spares and Repairs is a family run business based in Plymouth, Devon. We specialise in hot tub sales and installation, hot tub repairs, hot tub maintenance, hot tub servicing, Hot tub hire and offer a wide range of spa accessories.